For Laurel native, Bradley Welch, the path to pre-med at Mississippi State began much earlier than most. Welch is a biochemistry major in the Department of Biochemistry, Molecular Biology, Entomology and Plant Pathology in the College of Agriculture and Life Sciences. Welch’s sister, four years his junior, has two rare medical conditions that have required frequent trips to places like Jackson, Louisiana, and even North Carolina since she was born. The family’s need to focus on her medical care shaped Bradley’s desire to become a physician. A summer during high school as an MSU Extension Rural Medical Scholar further developed Welch’s passion to serve in this capacity. Since then, Welch has been incredibly active as a growing leader during his undergraduate career at Mississippi State University. 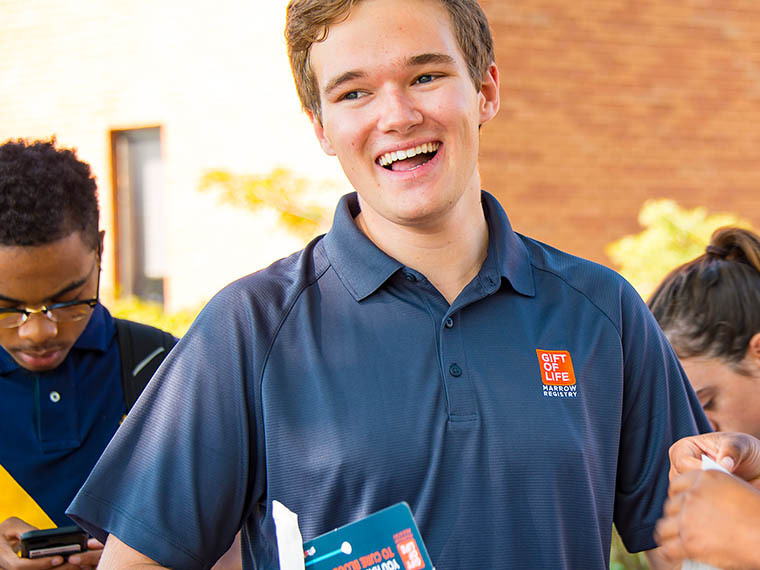 The biochemistry major is president of the Biochemistry Club, co-founder and vice president of Future Rural Physicians, vice-president of Physicians on the Rise and an ambassador for the College of Agriculture and Life Sciences. In 2016, he was part of the CALS/MAFES Undergraduate Research Scholars Program and a recipient of the Honors Summer Undergraduate Research Fellowship. In those roles, under the direction of Dr. Lakeisha Williams and Dr. Jun Liao, he conducted preliminary research focused on finding ways to create biological hydrogels that could one day possibly be injected into patients in need of heart transplants in order to promote cardiac cell regeneration. He also worked with Dr. Liao and Dr. James Butler studying cardiac regeneration in neonatal porcine hearts. Welch, who is also completing minors in French and psychology, embarked on two very different study abroad trips in summer 2017. He traveled to France for a four-week intensive language immersion program at Centre Universitaire d’Études Françaises in Grenoble, France. Prior to that, he traveled to three small villages outside of Tegucigalpa, Honduras and helped impact over 1,000 lives during a nine-day medical, dental, and public health mission with Mississippi State Global Medical and Dental Brigades. Welch is also Mississippi State’s Gift of Life Marrow Registry Campus Ambassador since fall 2016. To date, his team has swabbed 1,168 people and facilitated five matches and one transplant. The transplant was for a fourteen-year-old girl with leukemia. Welch is applying to medical school at the University of Mississippi School of Medicine. He hopes to practice as a rural physician in his home state. “Mississippi doesn’t have as many physicians per capita as many other states. That was evident growing up when we’d have to drive so far for my sister’s care. That experience helped me see the big picture in terms of making a difference by practicing rural medicine,” he said.